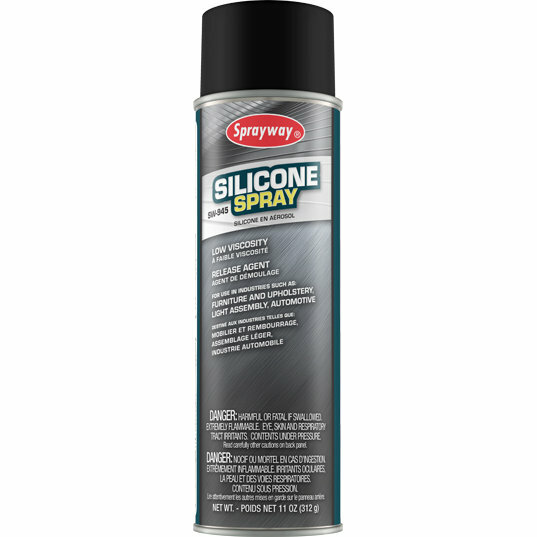 Home » Shop Maintenance » Cleaners » Sprayway SW945 Silicone Spray, 11 oz. 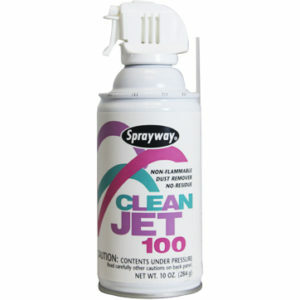 This product is considered hazardous materials when shipping through air transportation shipping methods. 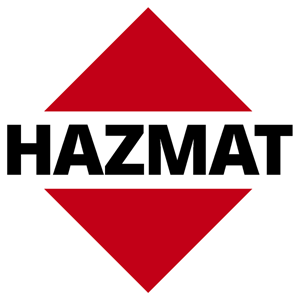 A $70 hazardous materials shipping fee will apply to air transportation shipping methods. Furniture/Auto Trim/Upholstery: Speeds cutting and sewing while eliminating material drag. It stops bunching and binding and facilitates fabric flow. Printers: Prevents rust on paper cutters, drills, dies, saws, etc. 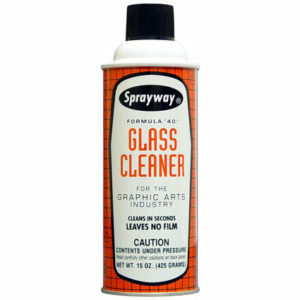 Prevents the adhesion of glue to equipment. Hardware/Industrial Maintenance: Eliminates sticking problems in plastic and rubber molding. 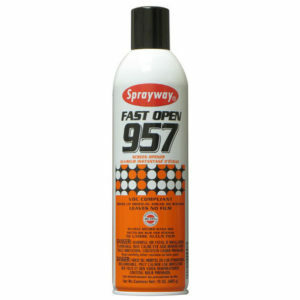 Helps fight rust on tools and equipment. 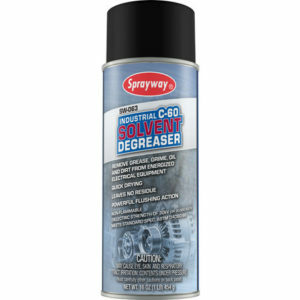 Prevents adhesion of sticky materials to equipment.